Here are a few carefully selected products that will help you on your musical journey. We ONLY recommend products that we personally use. With this software, take your favorite recordings, easily loop sections, slow them down, change the key and start improving fast. Michael Brecker endorsed Transcribe, saying "I use Transcribe! to assist with the process of transcribing. It is a great piece of software and I would recommend it to every musician." We should all be practicing with a metronome a lot of the time, but most of us don't. Well, what if there were an easy to use, portable, full featured metronome that became a part of your daily practice? It's called the Db-30C, and it's awesome. 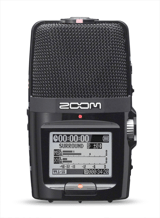 The Zoom H2n recorder is f%*ng awesome. We use it to record practice sessions, lessons, rehearsals, and pretty much any concert we go to. It can discreetly fit in your jacket pocket and has exceptional recording capacity. Worth every penny. 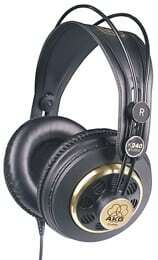 These headphones are incredible for the money. You'll hear EVERYTHING happening on the recording as if you're in the room. You don't need to spend thousands of dollars for a great pair. These are under a hundred bucks and they're everything you need and more. Every serious musician needs some basic piano skills and Mark Levine's Jazz Piano Book is a great place to start. It doesn't matter if you're a complete beginner or amateur player, he holds your hand the whole way, building you up from two-note voicings to tritone substitutions and block chords. Check it out! Have you ever wanted to transcribe a jazz line or the chord changes to a jazz standard while chilling at a coffee shop? With this mini controller, you can transcribe, learn tunes, and compose music wherever you go! I use this tool almost every single day. It's my work horse. Fits in a backpack and goes everywhere, ready to get the job done. You're a musician. At some point you’ll need a recording of demos or audition tapes. Having an inexpensive yet versatile microphone like the AKG Perception 220 has allowed me to attain fairly high recording capabilities without breaking the bank.